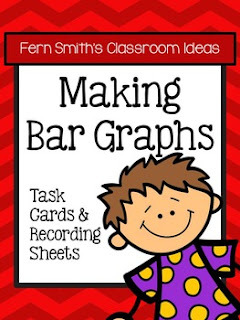 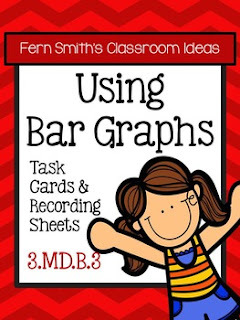 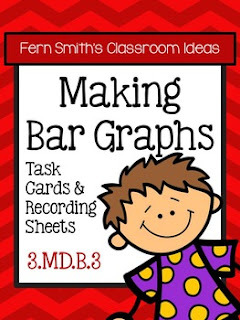 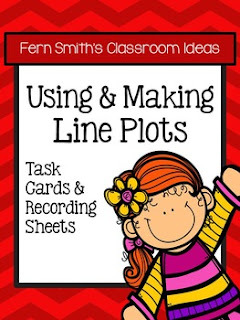 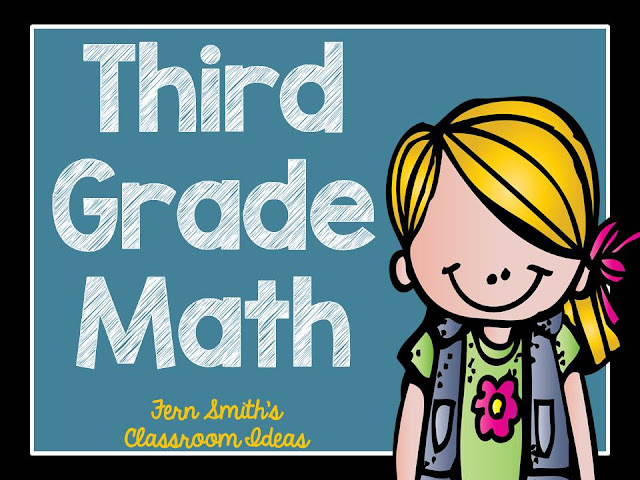 Third Grade Math Unit Two - Task Cards - Fern Smith's Classroom Ideas! 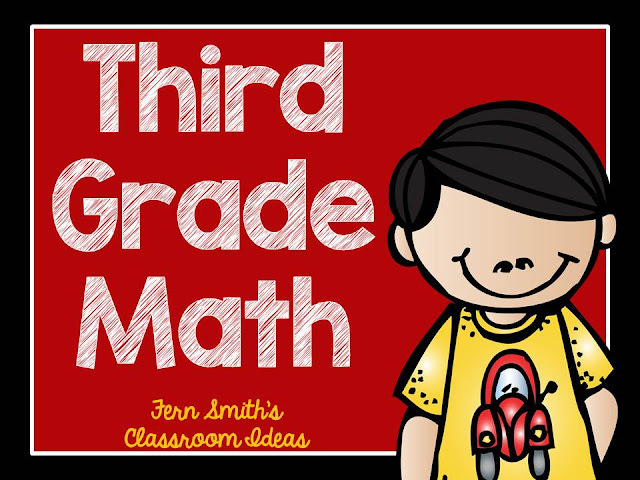 Everything in Unit Two is RED. 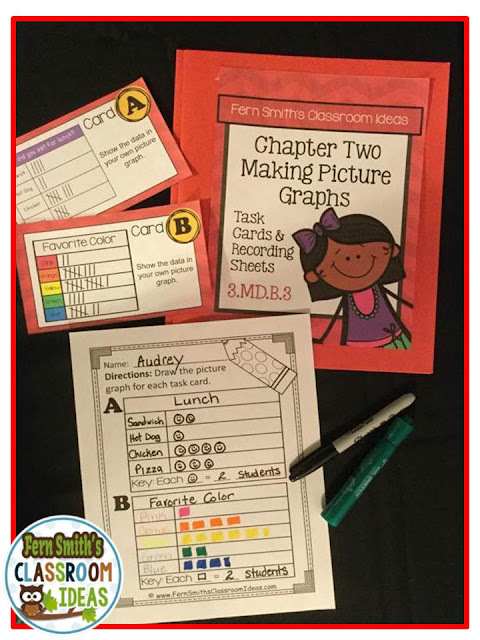 This unit has the same theme as Unit One, using a student and sweet treats. 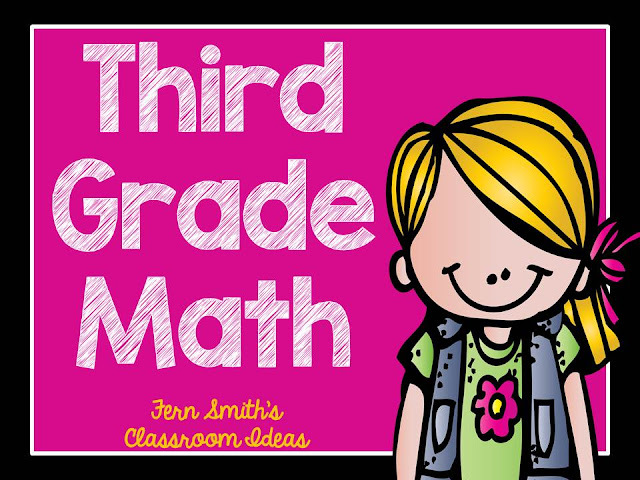 But Unit One is orange and Unit Two is red. 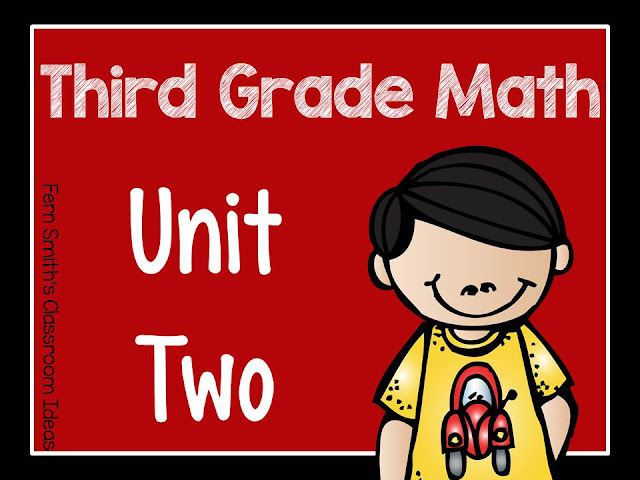 For the teacher: Easy to set up centers, easy to file and easy to pull out next year... Unit Two = RED. 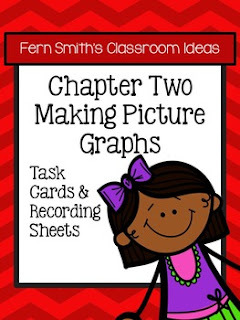 Click on any of the pictures below to purchase the individual task cards for the listed skill. 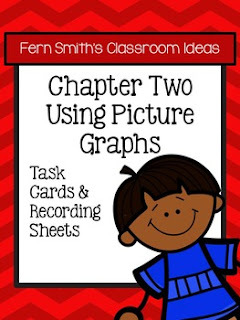 The above centers and printables are also part of this Unit Two Bundle. 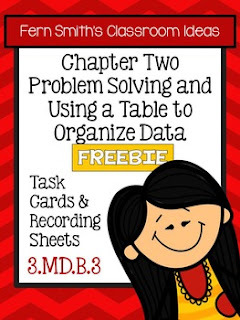 This resource is also available without Common Core Listings. 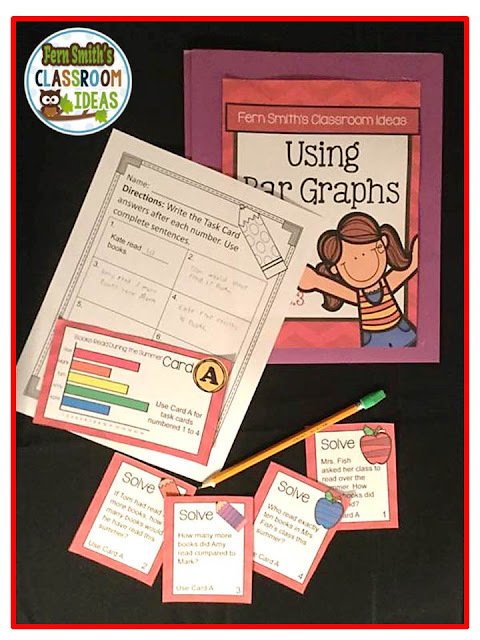 The above centers and printables are also part of this Unit Two Bundle that has No Common Core Listings. Would you like to try the freebie first? Click here or on the picture to get it. 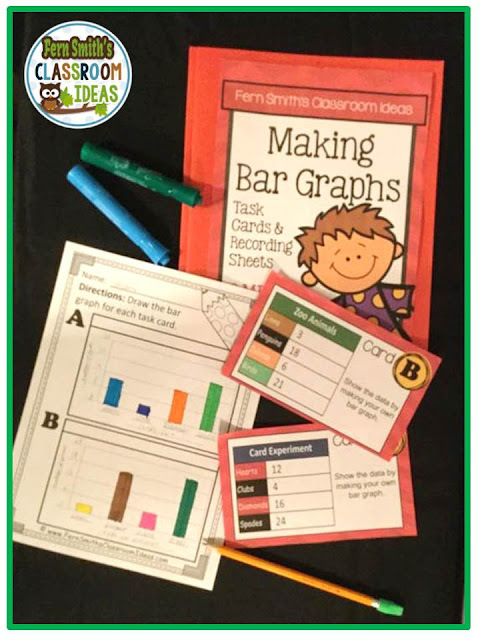 Generate measurement data by measuring lengths using rulers marked with halves and fourths of an inch. 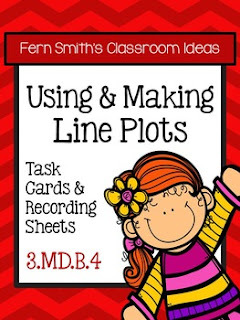 Show the data by making a line plot, where the horizontal scale is marked off in appropriate units - whole numbers, halves, or quarters.